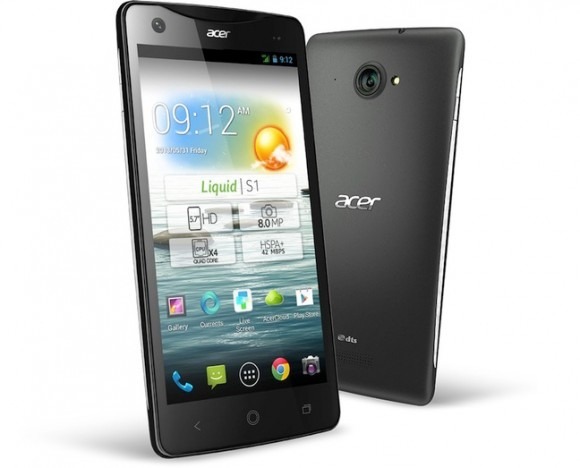 Acer unveiled its first phablet handset, the Liquid S1, previously hinted at during MWC. 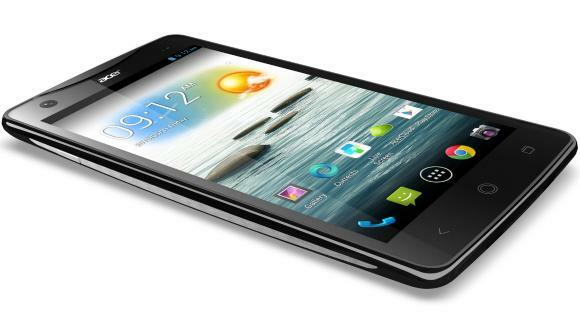 With a whopping 5.7″ HD display supporting a resolution of 1280×720 and 257PPI, the Liquid S1 runs the latest version of Google’s Android operating system (OS) Jelly Bean 4.2. “The Acer Liquid S1 uses fine craftsmanship and materials to deliver a premium, minimalist design, ideal for assertive businesspeople and passionate explorers. With a slender profile, it features curved details on the front and the sides, aluminum side grips, and is available in matte black or white,” Acer announced. The new smartphone arrives on the market with a 1.5 GHz quad-core processor packed inside, and should be able to provide users with a day’s worth of battery power, the company announced.The smartphone also packs 1GB of RAM, 8GB of internal memory, a microSD memory card slot with support for up to 32GB of additional storage space, and a 2400mAh battery. An 8MB camera on the back can shoot 1080p video, while the front 2MP snapper can grab 720p. A feature Acer is really underlining is the Float UI, which can have various widgets running on top of apps for a seemingly more efficient multitasking experience. Acer Cloud is also included, which automatically syncs your photos to the Internet. It also allows documents and files of many different formats to be sent to, viewed, and edited from the smartphone itself. @Jackeus Debbarma Pricing has not been revealed yet.